A woman named Florence testified about her son. She is a widow living in Sseya. Her son could not walk or speak. It was very difficult for her to care for him because he is 30 years old. He used his arm to move himself along the floor. The mother kept him in a back room in the house. He received pray from Pastor Isaac. Isaac returned that night to take the mother and son to a worship night and again the next day for church. God began a physical healing the first day; and by the end of church on Sunday, the son was walking on his own. 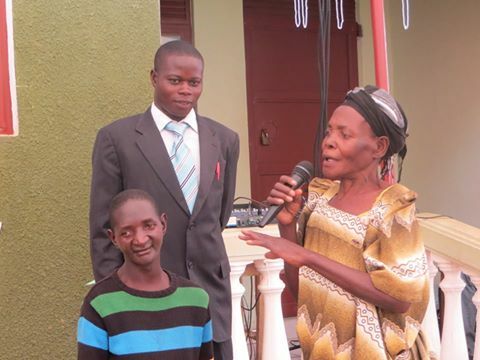 Florence and her son now attend Friday night worship, Saturday night worship, and church on Sunday.